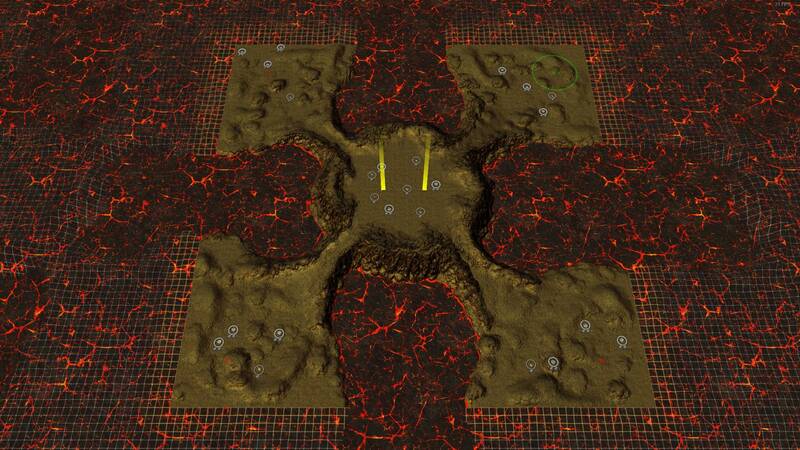 Added lavashader, some mild detailing and specularity, hardened ground. It's not a map thing, but the translucent grid on the outside of the map would look better if it were opaque. Additionally it looks like it would work much better with the edge highlight. That said the current lava shader's edge highlight is just based on "water depth". It should instead have edge detection. Though with partial opacity, both effects look much more mild. I think they're fairly okay, but the textures are stretched way too large. And there's no edge glow. I just hope you make no map which kills just my FPS. Weltenwind, usually shaders are almost free in terms of FPS impact. Anarchid, I was just trying stuff. Edge detection will require a lot of changes. Texture is stretched to avoid seams. I was just trying stuff. Edge detection will require a lot of changes. Texture is stretched to avoid seams. Indeed. It's just that i think it will be much fitting with these. Primarily, i think that the difference in texture frequency between both the current lava and the lavas you tested is what's the worst part of it. The stretching/tiling issue i think can be fixed by increasing noise frequency in the shader. Edge-detect highlighting will require a more significant modification, but i think it can be done without any true edge detect - just run a lowpass on the heightmap, then blur, then multiply. Also would be great if map texture didn't have these red, hot shore edges. It's much easier to blend them in in the shader. 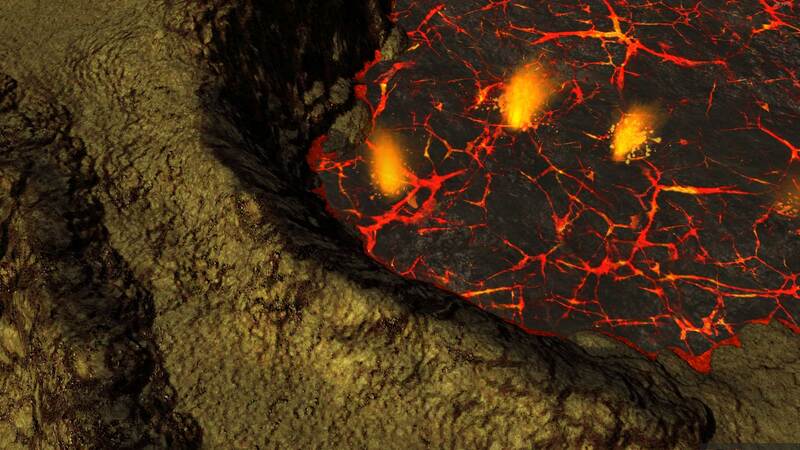 Lava can be raised to conceal the edges by lowering the map height.